With the Michael Grandage Company’s season at the Noël Coward Theatre, Michael Grandage has come up with an idea so obvious that it’s amazing nobody has done it before. It’s a shame that it’s how the world works, but marketing a season purely around its headline stars is a sure-fire way to ensure its commercial success. It doesn’t matter what the play is, or how good the production, if it stars Daniel Radcliffe or Jude Law people are going to go. The teenage girls sitting next to me when I saw The Cripple of Inishmaan spent the interval looking at the programme’s opening double-page spread (featuring a line up of all of the season’s stars), stroking Daniel Radcliffe’s face and swooning over Jude Law. Looking down into the stalls it was striking how many programmes were open at this page! But crucially, the stars that Grandage has chosen (also including Simon Russel Beale and Judi Dench) have not only commercial appeal but also the talent to give a quality performance. 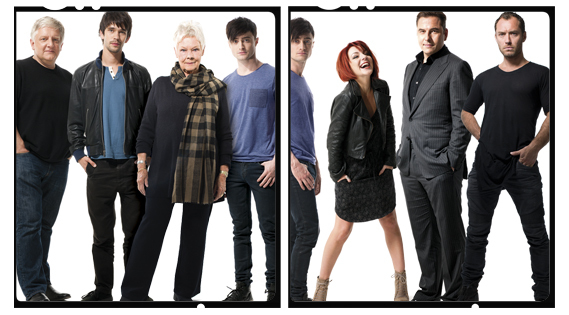 Alongside Grandage lending his name to the company, the reputation of its stars will surely make the season as appealing to theatre buffs as Harry Potter or Jude Law fans. This is backed up by the array of four- and five-star reviews received by the season so far. What could have been a gimmick is instead the foundation for a serious season of quality drama. By removing any direct reference to each individual play (other than the title) the Grandage season has created coherent and distinctive marketing for a season of unconnected plays. It’s impossible to know what any of the plays are about from the posters, but they are certainly striking. And while I find it a bit depressing that star casting is almost a necessity for any West End play, it’s undeniably beneficial if it makes the staging of more obscure plays viable, and introduces audiences to something new.